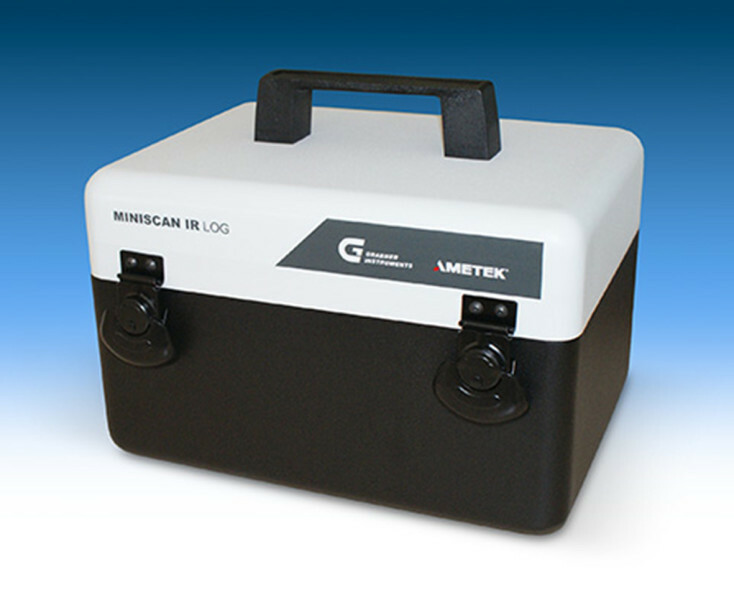 The MINISCAN IR LOG is a highly versatile and extremely fast FTIR analyzer, designed for on-site condition monitoring of oils and greases. It is also capable of measuring low or high levels of water in oil accurately and quickly without using hazardous reagents. The MINISCAN IR LOG FTIR analyzer requires only one drop of sample to accurately measure numerous performance indicators of oils and greases. Depletion of anti-wear oxidation compounds and additives, as well as the level of sulfates, nitration, soot or water is measured and pass/fail information is displayed within minutes. Preconfigured methods are easily selectable for measuring different types of lubricating oils. A measurement can be done by untrained personnel. The instrument is also able to determine low or high levels of water in oil, offering a perfect alternative to Karl Fischer titration. The analyzer reduces measurement time to minutes, no hazardous chemicals are required and results are analytically as accurate or better than KF titration. The MINISCAN IR LOG is featuring a unique dial-path setup, which allows easy switching between sample cells. Three different path lengths are pre-installed: a 50 micron sample cell for quick screening, a 100 micron cell for ASTM and EN compliant measurements and a 1000 micron cell which allows the detection of very low levels of additives or contaminants in oil. This setup guarantees that the instrument conforms to and exceeds precision requirements specified in various ASTM, EN or IP methods. Antiwear: ZDDP, Phosphates, Silicates. Biproducts: Phosphates, Sulfates. Aminic Antioxidants: Napthalamine,Diphenyl Amine. Phenolic Antioxidants: Hindered Phenol . Extreme Pressure: Phenates, Sulfurized Isobutylene, Aromatics, Sulfoxides. Antifoam: Silicones, Siloxanes. Dispersant: Polyisobutylene Succinimide. Oxidation: Ketone, Esters, Carboxylic Acids. Ester Breakdown, Phosphate Ester, Polyolester, WD 40 Ester (Dialkylated Sulfosuccinate) Sulfate, Sulfonate: Organic and inorganic sulfoxides, corrosive and acidic. Nitration: Organic nitrates. Water, stabilized water. Carbonate. Glycol. Antifreeze C.ontamination with Gasoline, Diesel, FAME. Other contaminants.